Chicago (AFP) - Volkswagen's US sales fell nine percent in December in the wake of a massive pollution-cheating scandal, the embattled German automaker said Tuesday. The results were nonetheless better than the 25 percent drop registered in November after VW stopped selling diesel vehicles shown to have been equipped for years with software that intentionally subverted clean-air regulations. 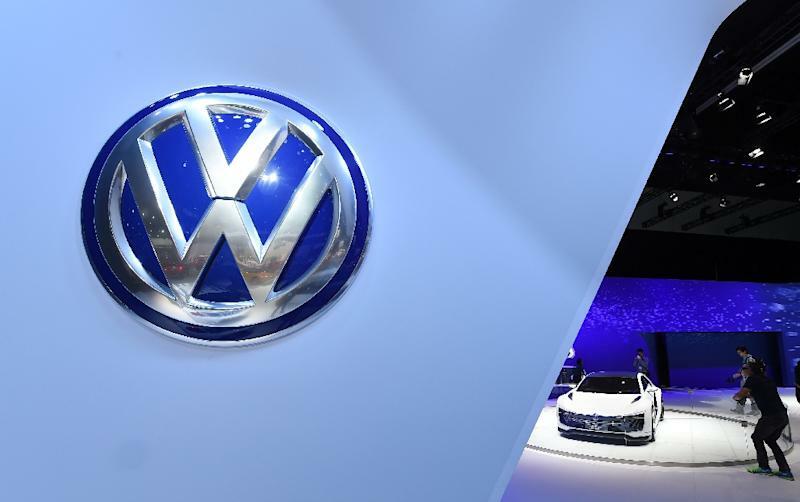 "As we look towards 2016, we are committed to rebuilding trust in the brand and would like to thank our customers and dealers for their continued patience and loyalty," said Mark McNabb, chief operating officer, Volkswagen of America. VW's total US sales for 2015 fell five percent to 349,400 vehicles. December sales fell by more than 3,000 vehicles to 30,956. It was finding success, however, with the vehicles it was able to offer consumers. The Tiguan racked up its best month on record with 4,900 vehicles delivered, a 131 percent jump from a year earlier. VW sold 35,843 Tiguans in 2015, a 42.7 percent increase from 2014 and the best year on record for the compact sport utility. Sales of VW's Golf hatchbacks rose 30 percent in December to 5,715 and were up 94 percent for 2015 at 33,675. "We are very pleased with the strong Golf family results and record-setting performance of the Tiguan in 2015," McNabb said. The results come a day after the US government sued Volkswagen for intentionally installing electronic "defeat devices" on 600,000 diesel VWs, Audis and Porsches that met tough US environmental tests during official reviews, but spewed up to 40 times the legal levels of poisonous pollutants when on the road. Civil penalties could run well above $20 billion, according to the US Justice Department's suit. The civil action is distinct from a parallel criminal investigation of VW by the Justice Department.